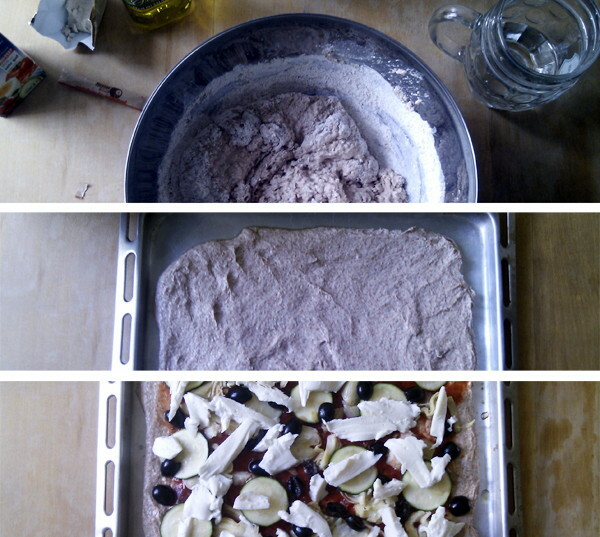 Being into healthy food and cooking to some extent, making my own pizza dough is something I wanted to do for a long time now. It’s cool. It’s tough. It’s a man’s job. And it’s not that hard either. Following Jamie Oliver’s recipe – being unlucky with the video pages which were down at the time -, I managed to do everything in about 75 minutes. That includes cleaning the table in the beginning and cutting up the slices in the end, so I probably will do this again – and encourage everyone to try it once. As for me, the next step will be the Chinese boutsa from scratch. Served with Syrah from Sicily. Bliss!